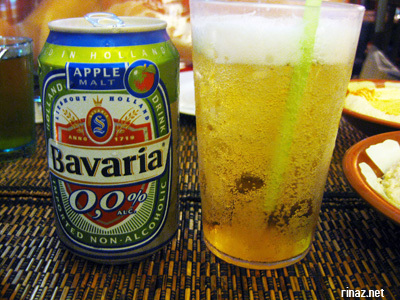 Please do yourself a favour and go get an Apple Malt or Original Malt non-alcoholic Bavaria. If you do not like product, tell me why? If you do, still tell me why and I guarentee you will soon need to start stocking your fridge, especially with the Apple Malt! Available @ all Liquor Ltores, Pick n Pay, Checkers and Spar! I am sure by now you all know that I am associated with Bavaria Premium Beer. What you didn’t know is that I do actually drink the stuff 😉 Please do yourself a favour and go get an Apple Malt or Original Malt non-alcoholic Bavaria. If you do not like product, tell me why? If you do, still tell me why and I guarantee you will soon need to start stocking your fridge, especially with the Apple Malt! Available at all Liquor Stores, Pick n Pay, Checkers and Spar! There is nothing better than whacking a beer down, without the consequences, after a heavy night out on the town! Personally I love the Apple Malt flavour but hey, everyone has different tastes and preferences. Currently in the Cape Town market there are minimal brands that offer non-alcoholic beer other than Becks and Cobra. The thing here is, where have you ever seen advertising or promotional tactics used by either of these brands? The truth is, I am yet to see any!!! Therefore, why shouldn’t a massive global brand like Bavaria not take this sector by the horns? This is exactly my aim and will be in close contact with the guys in order to take the brand to the next level, with regard to brand awareness and more importantly brand awehness 😉 We all know too well that a cool brand is a lekker brand! The new packaging - coming soon to SA! 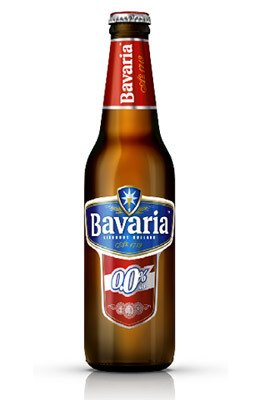 Check out this sick new television advert that Bavaria non-alcoholic recently launched. This is the kind of advertising that gets you massive awareness and young, affluent people interested in you brand…Starring none other than movie star, Mikey Rourke.